Spring is here, which may fill you with joy or, if you suffer from allergies, with the dread of the inevitable itchy, watery eyes and a runny nose. 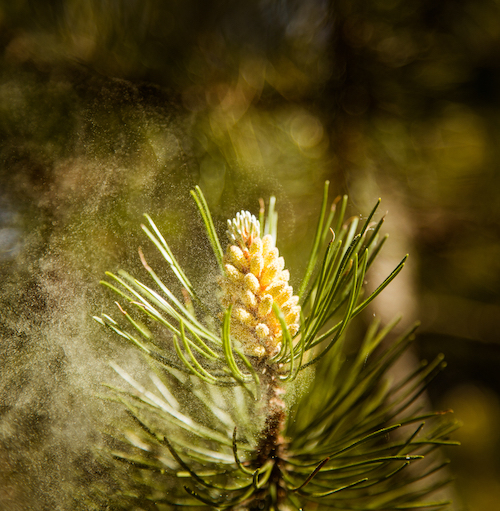 As many as one in five Americans, close to 50 million, suffer from allergies. If you are among them, you’ve probably tried a host of pharmaceutical treatments to help you find relief. The truth is, these treatments may only suppress the symptoms and don’t get at the cause, which can make your allergies worse. But don’t fret! You may be able to control your allergy symptoms naturally. Here are a few of the products you can find at Native Sun for natural allergy relief. All of these symptoms are the result of histamine, a compound released by the cells in your body as a response to allergens. While reducing the time you spend outdoors can help, there are natural allergy supplements and remedies you can use that may help you get through allergy season healthier and happier. While the world around you may be responsible for producing the substances that trigger seasonal allergy symptoms, it’s also kind enough to give you natural remedies for them. Native Sun carries a variety of natural allergy supplements and remedies to help make this allergy season a little more tolerable. Aller-Ease liquid is designed to help you find relief from common allergens by helping your body to maintain normal histamine levels. It harnesses a variety of natural herbs and antioxidants to help your body work optimally to help you feel better. It comes in a BPA-free bottle for your peace of mind and is wheat, gluten, soy, dairy, and yeast-free. Find relief from respiratory irritation and cough with this soothing syrup. It utilizes wild cherry bark as a key ingredient to help reduce inflammation in the lungs and throat that can arise from the excess mucus production allergies trigger. It’s also vegetarian safe and free from dairy, gluten, yeast, and wheat. Colloidal silver has legendary antimicrobial and antibiotic properties. Buried Treasure Quantum Silver is a daily supplement containing non-accumulative silver molecules and patented nano-silver particles to help to clear the nasal passages and reduce the severity of sinus infections that can result from seasonal allergies. Buried Treasure formulas contain no binders, fillers, or excipients, so you know you’re getting natural, safe, and effective formulas to help boost your health. The health of your gut plays a major role in your overall health and wellness. After all, your gut is your body’s first line of defense against allergens, viruses, and bacteria. That’s why it’s important to support a healthy gut with daily probiotics such as Megadophilus, a viable strain of probiotic bacteria that have been formulated to help optimize your digestive system. It’s available in powder or dairy-free capsules to help make it a convenient part of your daily regimen. Support a healthier body with this dietary supplement that harnesses the power of active sulfur to promote the health of tissues that are susceptible to allergens such as the mucus membranes that line your nasal passageways. Find it in capsule or powder form that is vegan-friendly, kosher, and gluten-free. Support healthy digestion and improved overall health with the help of bromelain, a digestive enzyme found in pineapple stems that can help reduce inflammatory and allergic responses throughout the entire body while helping to hinder histamine production. This supplement is certified vegan and gluten free. It also contains no soy, milk, sugar, salt, yeast, corn, wheat, artificial flavors, colors, or preservatives. Harness nature’s natural defense with the help of Lavender essential oil. This certified organic essential oil helps to relax you as it works to halt histamine production to help you find relief from your seasonal allergy symptoms. During allergy season you can’t avoid pollen in the air, but you can rinse it from your nasal passages with the gentle, effective help of the Neti Pot. This easy to use Neti Pot helps to reduce the impact of allergens on your body to help you find natural relief from environmental allergens. You can’t avoid allergy season, but you can help your body to work at its very best to reduce symptoms and help you stay healthy to enjoy all that spring has to offer, without the watery eyes. Stop in to Native Sun today to find out more about natural allergy relief.